how do to you all! I have been looking after Hogs for a few years now and currently have nine in my care. The rest of my time, after looking after Hogs, is spent with family and looking after the numerous other animals in my house. Re: how do to you all! Hi Jo, nice to meet you! 9 hedgies! Are they small, orphans, sick, injured? Looking forward to hearing about them. What other animals do you have, we have a thread called 'What Pets Do You Have?' in the General section. As for the silly - that's brilliant!!! Nice to hear from you. 9 Hogs! That is a lot. Wish I had that many. Glad you are Hog addicted! We all love Hedgehogs here, so that is brilliant. I'm glad you will enjoy talking here, we are all a friendly bunch who are here for one thing: Hedgehogs! Welcome to the forum, Jo. Glad you like the forum, is a very nice place to talk. Great to have you talking here! I only have a few Hedgehogs at the moment. But it is great that you have 9! I love Hedgehogs, like we all do, so it is great when so many people join this forum to give their support, to a creature that will soon be gone- if we don't do something now. You are doing an amazing job, which is hard to keep up with the 'credit crunch' so well done! four of the hogs are ones i raised from about 1-2weeks old after their mother was killed, they live in my shed and i'm a bit scared to let them go until spring as they're a bit dozy! It was the name Boris that did it!! There can't be another Blonde called Boris!! I'm off to bed, but I will catch up here tomorrow - would be great to see a photo of Boris if yo have one, I don't think I have seen him. 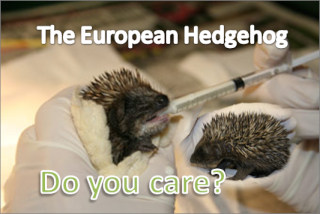 Yeah there is a picture on my website on the sick and injured Hedgehogs bit. He is a beautiful Hedgehog and is very lucky. But I'm glad you joined this one. i will get off my bum and get some photos of boris tonight,mind you depends on what mood hes in! Ha, Ha. Boris is a beautiful Hedgehog! Really unusual colour. He is a very lucky Hedgehog and my bet is that he is nice and fat now! The size of a football! Wow, have not seen him before but its will be great when I do.